Matt Bernico examined the relationship between technology and belief, using ghost hunting equipment as a case study. PROVO, Utah (Nov. 30, 2016)—We all have strange rituals we perform when interacting with technology, whether we realize it or not. Perhaps you press the crosswalk button repeatedly, hoping that the lights will change faster; you could very well do the same thing while riding the elevator. Maybe you click harder on the mouse when your computer is responding slowly. We perform these rituals, not because they work, but because we believe that they work, regardless of experience. Since the invention of the telegraph, technology has been used by practitioners of spiritualism – the belief in contacting spirits through a physical medium. Television programs like Ghost Hunters and Most Haunted make regular use of technology as a means of detecting the presence of ghosts. Besides cameras and other recording equipment, though, paranormal researchers have their own resource of items specialized to their work. As examples, Bernico described three pieces of equipment common in ghost hunting. The first is probably the most iconic: electromagnetic field (E.M.F.) readers. Normally used by plumbers and electricians to find sources of electricity hidden in walls, the E.M.F. reader is regularly used by paranormal researchers, who believe that these electromagnetic fields are the work of spirits. No matter who uses the device, the E.M.F. reader detects the fields. It is up to the user to find the source of the waves. A more dramatic example is the spirit box. Superficially, the device is a hand radio with a microphone attached to it. Supernaturally, the device is meant to facilitate communication with spirits. In concept, the radio scans through A.M./F.M. radio stations so that spirits can take sound bites to cobble together messages. Finally, there is the Paranormal Puck. 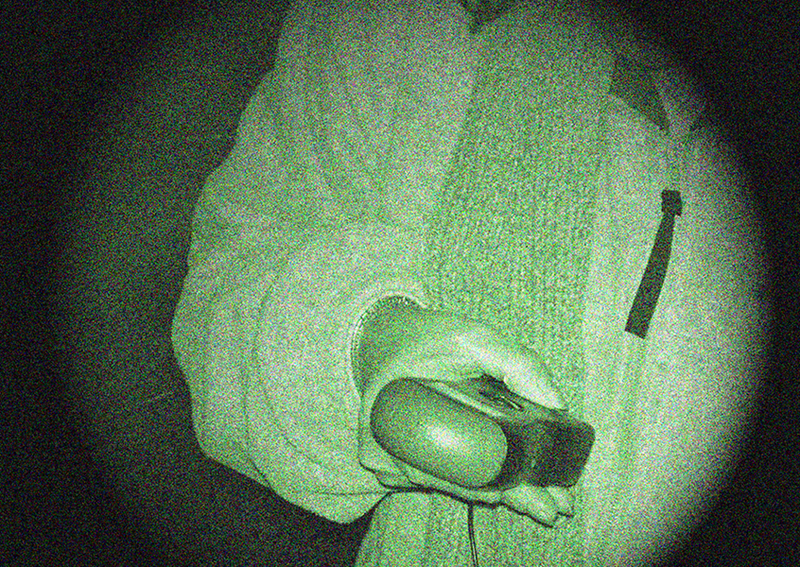 “The [puck] is an important turning point for apocryphal paranormal technology because it finally introduces the digital turn into paranormal investigation – it’s no longer analog, but digital,” Bernico said. In theory, the puck allows researchers to type queries into their attached mobile devices and carry on a text-based conversation with spirits. Referring back to his idea of “gestures of belief,” Bernico explained that causality becomes a complicated issue when dealing with belief. Both the human and the technology perform actions. The human sets out with a question and seeks an answer, and the technology provides data.